Sun with Moon Japanese Dining & Café located at Wheelock Place for many years. I still remembered I visited the restaurant with my friends for dinner after work years back. 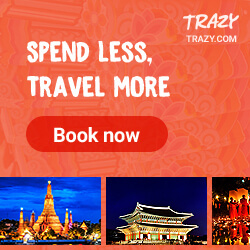 The restaurant has been in Singapore for many years since 2005. Time flies but the restaurant still remained at the same location for years!I was invited to check out their latest 2018 grand menu few days back. So, let me move on to the dishes. 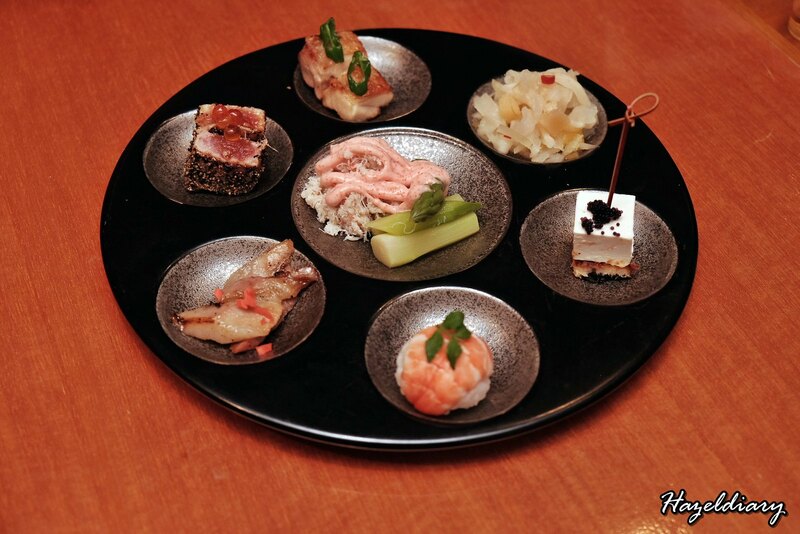 A platter of 7 chef-curated appetizers including grilled unagi with cream cheese, seared mini tuna steak with black pepper, grilled pork belly/ grilled chicken thigh, mini prawn sushi, crabmeat and asparagus with mentai sauce & refreshing pickled radish with yuzu and herring roe. Take your pick and my favourite is the crabmeat and asparagus with mentai sauce while the rest is addicted to the pickled radish with yuzu and herring roe. 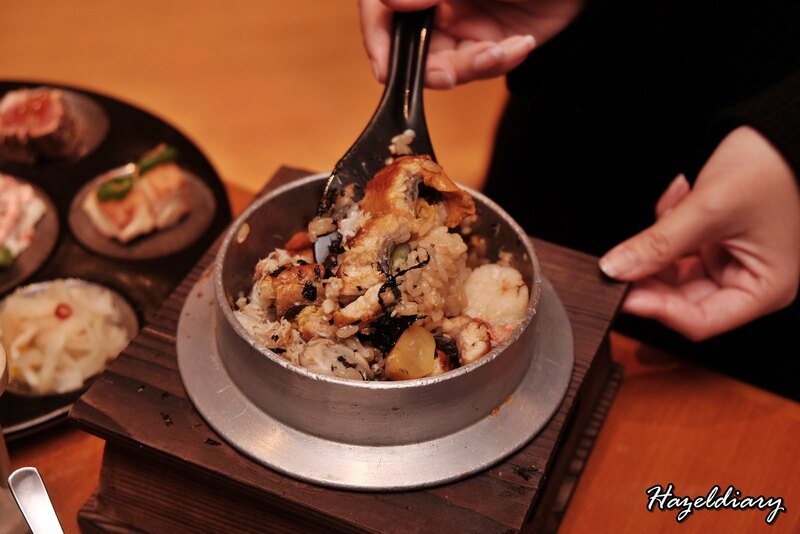 This is served with steamy iron pot topped with grilled unagi, thick-cut flame-seared scallops and Japanese rice. Mix them well before you enjoy it or try it with the soup broth for a different taste approach. This is quite comforting and filling for mains. 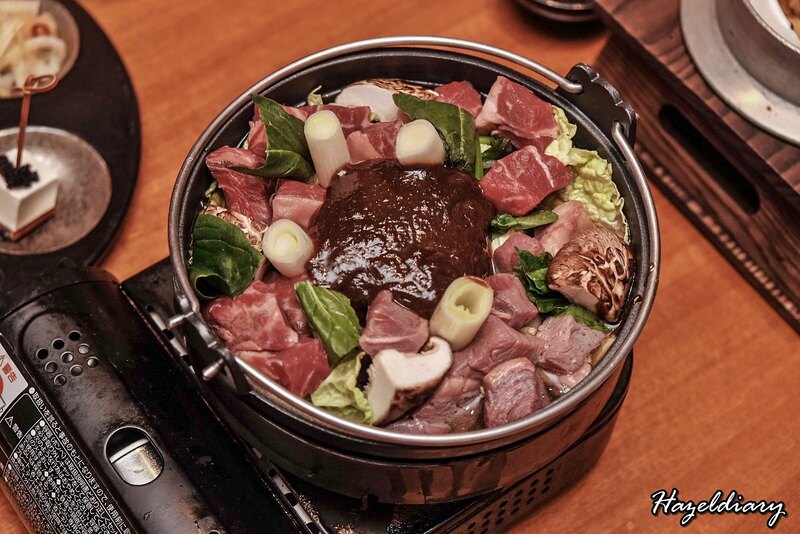 The sukiyaki made with original miso dare blend with hatcho (soybean) miso from Okazaki in Aichi Prefecture. 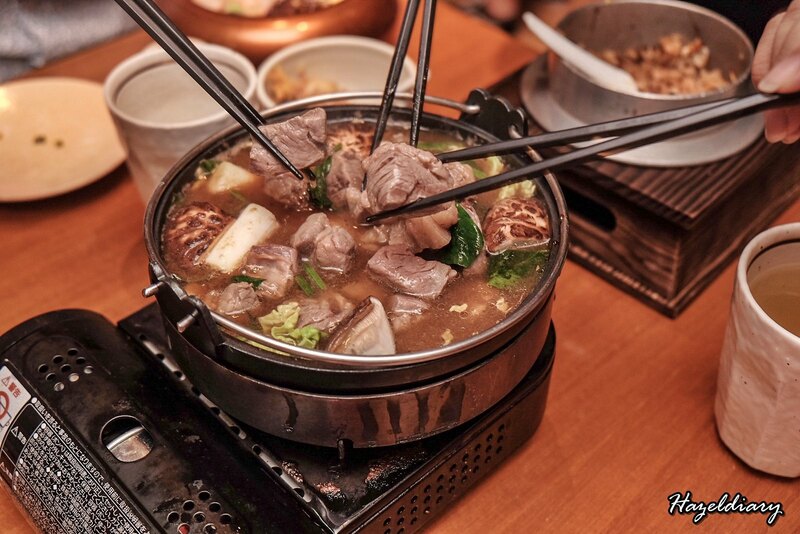 The US Ribeye beef cubes are soaked into the broth and served in hotpot to retain the flavours of the beef longer for your enjoyment. If you are a beef lover, try this! 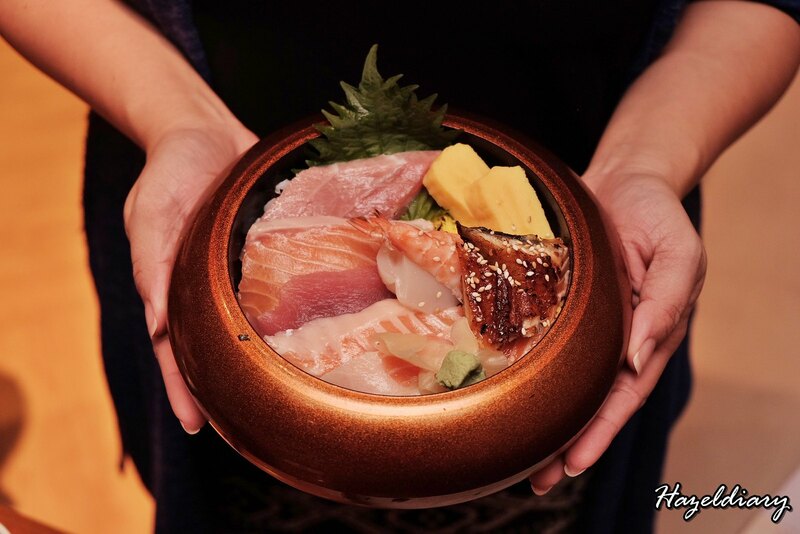 Japanese rice topped with sliced sashimi including salmon, maguro, unagi (grilled eel), tamago and many more. 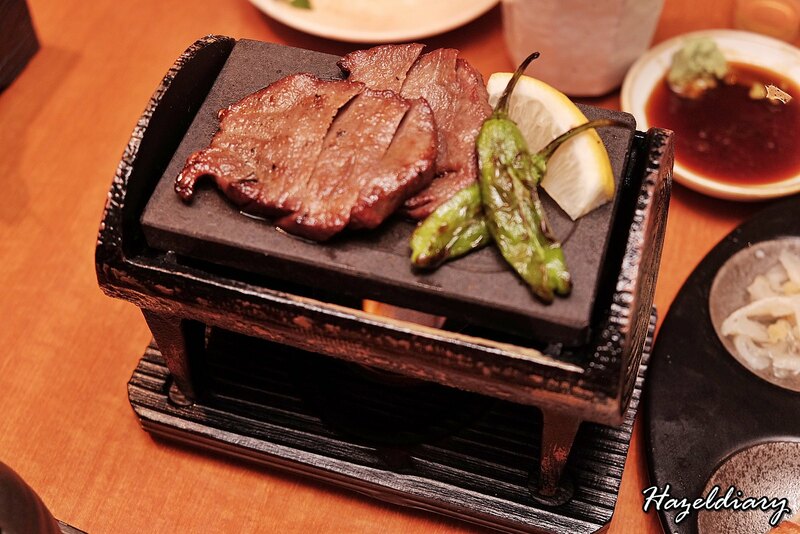 Grilled beef tongue flavoured with salt that acquired with charred texture on the hot grill. It was a crowd pleaser dish that night. 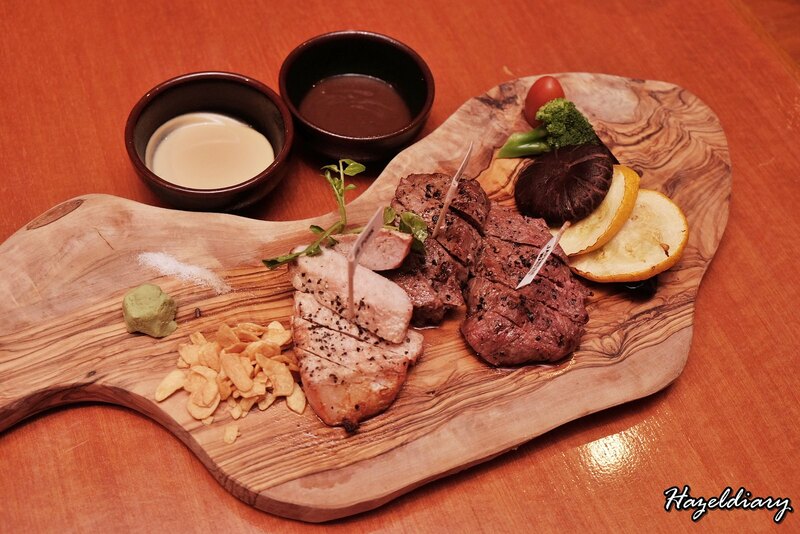 Grilled steak combo of Japanese Wagyu, US Tenderloin and pork steak (300g) served along with choice of sauces available. There are 4 sauces to choose from and 3 of which are Sun with Moon original sauce blends- black pepper, red wine and goma mustard sauce. Not a fan of this dish as the pork steak was hard to chew. 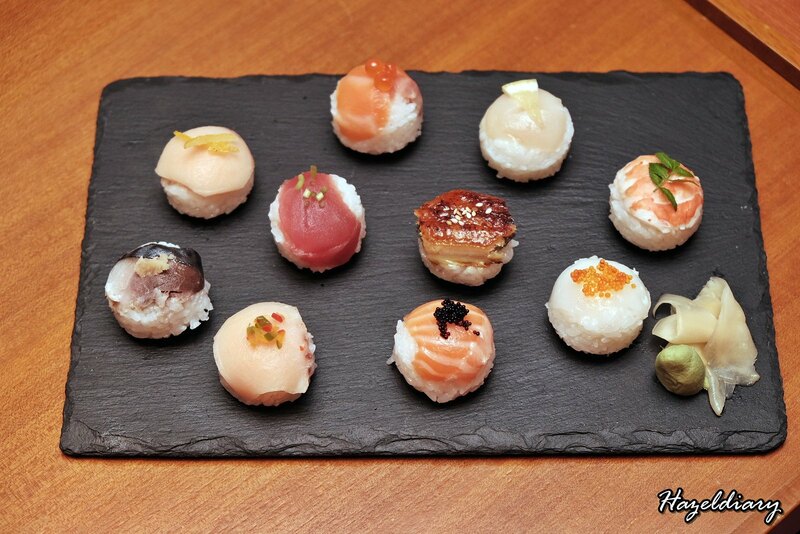 Love the cute bite-sized mini sushi balls which reminds me of Malacca chicken rice balls. 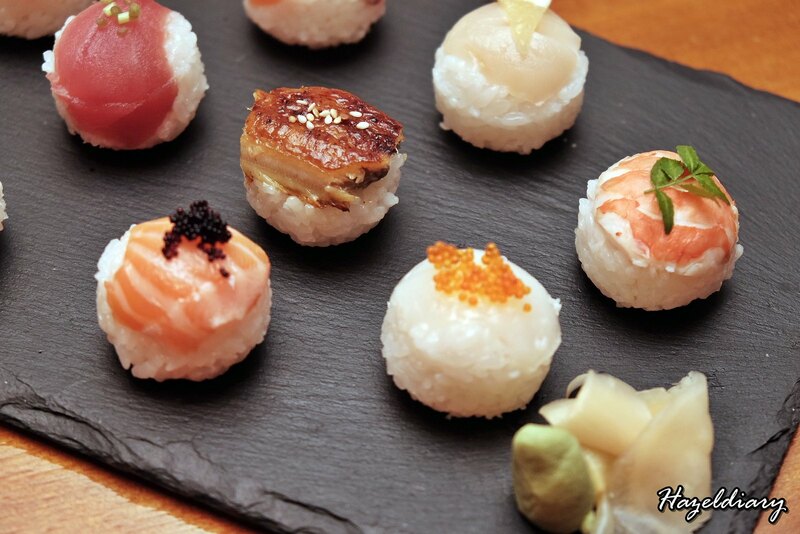 They use Japanese sushi rice to mold into mini balls topped with fresh tuna, salmon, scallop, unagi (grilled eel), hamachi (yellowtail), mackerel, mekajiki (swordfish), cuttlefish, salmon belly and boiled prawn. 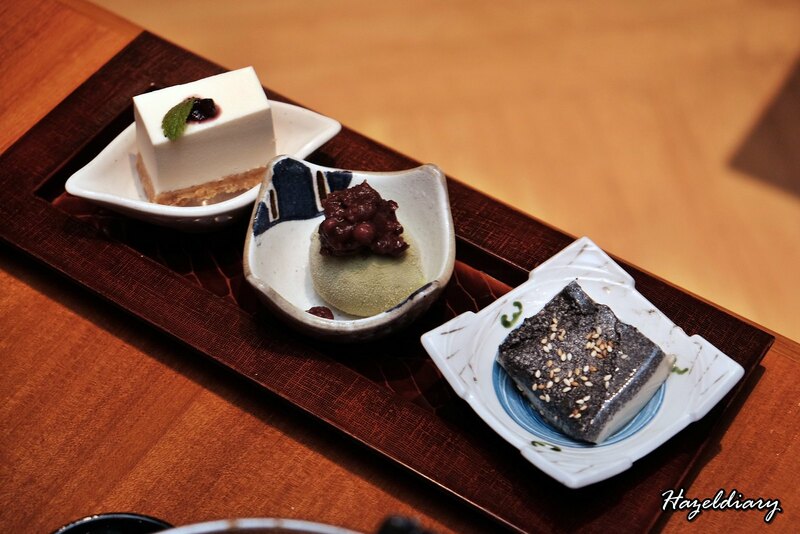 Our dessert of the night comprises the tofu cheese cake, matcha ice-cream with azuki red bean and kurogoma pudding (black sesame paste with silky milk pudding). 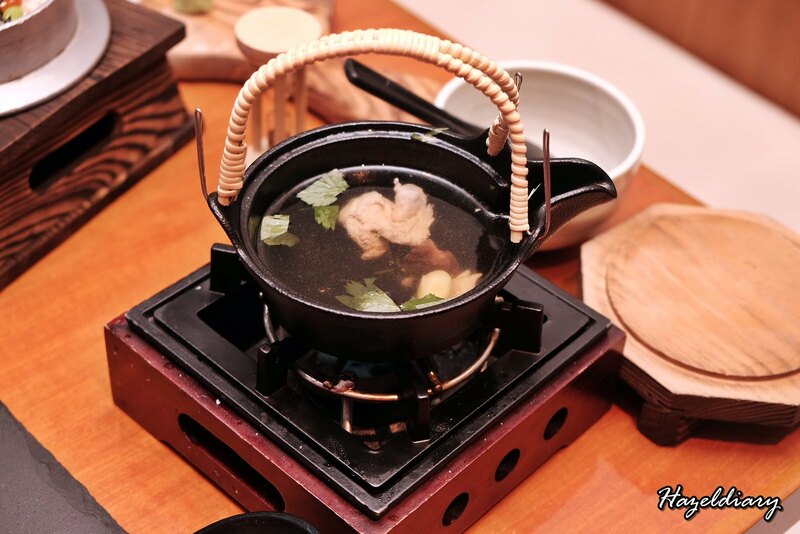 Apart from the Japanese cuisine, there are variety of sakes, wines and spirits available here at Sun with Moon. The selections are specially selected by in-house sommelier. Perhaps it’s time to revisit Sun with Moon to rekindle your memories here with their new dishes.